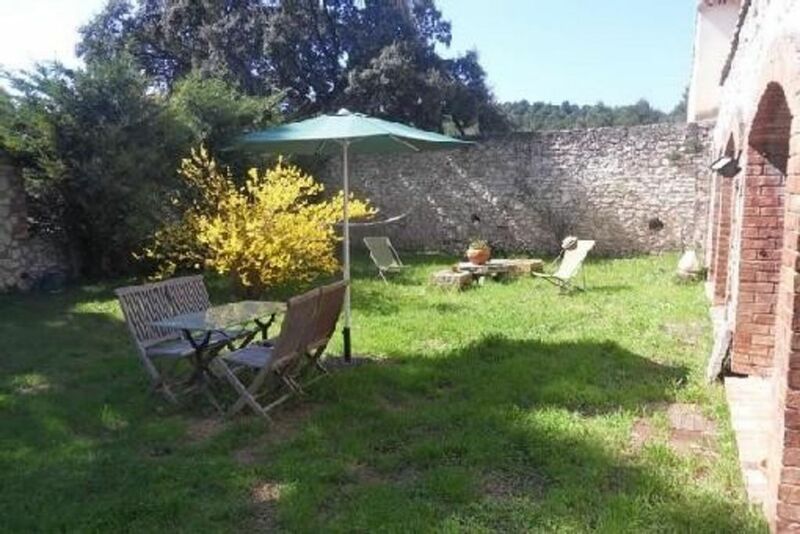 Air-conditioned country house with private garden surrounded by pines and oaks, joint ownership without opposite. Exceptional location between Aix en Provence and Marseille. Charming cottage with exposed beams and stone, tastefully decorated. Rating 3 stars prefecture and 2 clesvacances. Living room, kitchen, sleeping area, bathroom. Any comfort for 2 to 4 people. Possibility to provide the linen and baby equipment. Internet access. All amenities nearby, once the gate of the property passed, the house is accessible at the end of a path, calm assured! In the south of France, in Provence. Aix en Provence and Marseille are 15 minutes from the house. The Luberon, the Alpilles, the Camargue ... are nearby. Une caution de 200 € sera demandée à l'entrée.